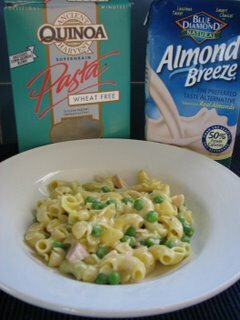 As a kid, I was ambivalent about tuna casserole. Actually, I never liked tuna until I found albacore as an adult, and was actually kinda mad at my Mom for making me eat the other kind (whatever it is) for so long. For my schooltime lunches, the only way she could make me eat my tuna salad sandwiches was to provide me with a bag of bbq potato chips so that I could line the tuna salad to make a bbq buffer just so that I didn't have to taste the tuna. However, for some odd reason of logic to a kid, tuna casserole seemed to be a somewhat acceptable delivery mechanism of the dreaded tunafish. Sorta like choosing a weapon for your own death... I exaggerate only slightly. I loved macaroni, just like any American kid did, but between the icky tuna, the ubiquitous gooey Campbell's Cream of Mushroom soup and the emergency potato chips, I only stuffed it into my face when I had to. I was abnormally happy with the result. I felt so comforted that I could have suburban childhood food again. Nothing fancy or gourmet, just simple. All I was missing was the layer of potato chips, and it would have been perfect. Apparently, even the Food Allergy Queen CAN go home again occasionally. Thanks Mom. 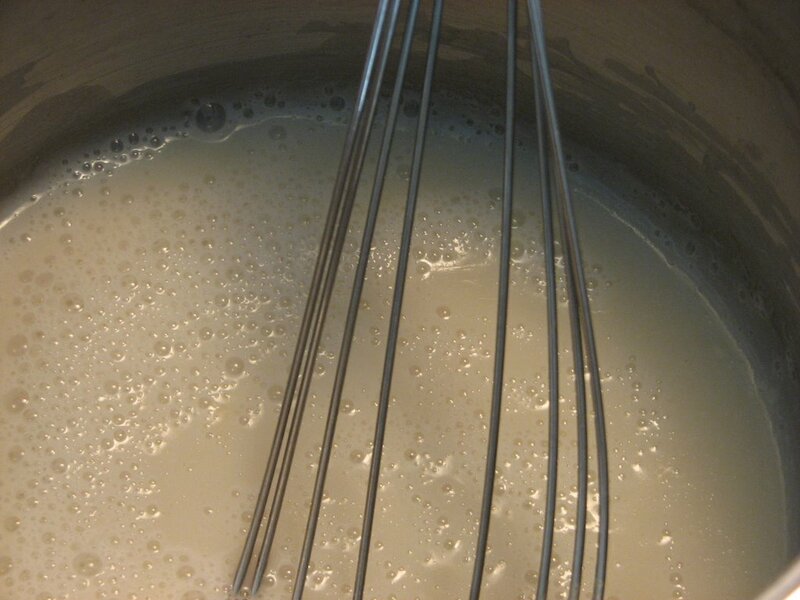 Whisk cornstarch into liquid to break up lumps, then slowly warm until sauce comes to a boil. 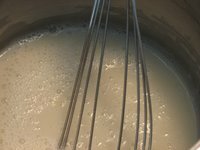 This sauce should be smooth and thick, with some body to it, like heavy cream. Sprinkle more cornstarch if it's too runny after it boils. Conversely, thin with more liquid if necessary. Remove from heat, and whisk in mayonnaise and salt and pepper to taste. My! You have good writing skills. I'd say it's a talent!